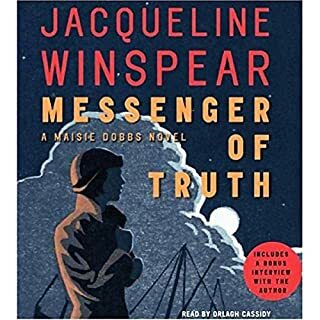 Maisie Dobbs is back, and this time she has been hired to find a wealthy grocery magnate's daughter who has fled from home. 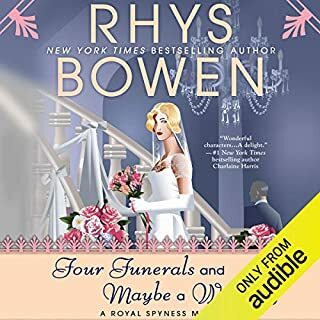 What seems a simple case at first becomes complicated when Maisie learns of the recent violent deaths of three of the heiress's old friends. Is there a connection between her mysterious disappearance and the murders? Who would kill such charming young women? 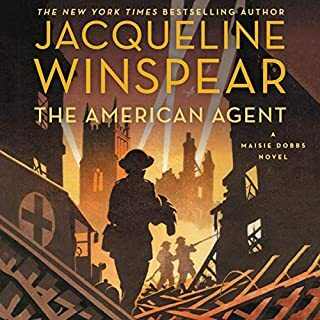 As Maisie investigates, she discovers that the answers to all her questions lie in the unforgettable agony of The Great War. Having a voice help make Maisie and Billy come to life is remarkable. I loved listening to this book! 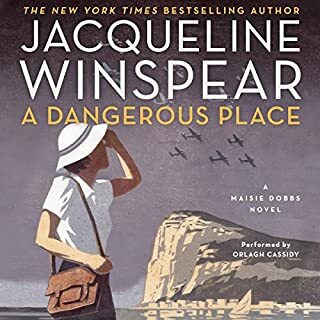 If you’re a fan of Daisy Dalrymple you will LOVE Maisie Dobbs! Book two and I’m completely hooked! I disagree with the bad reviews given to this narrator, Kim Hicks. 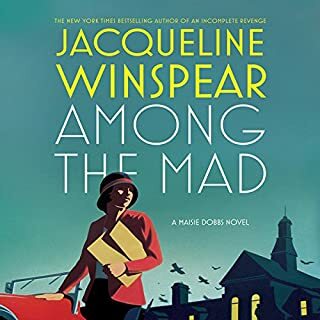 I enjoyed her just as much as Rita Barrington (the narrator of Maisie Dobbs, the first book in the series.) She did a marvelous job with the various accents, and I didn't feel that it was too fast or grating. I guess it just shows that you should definitely preview the narration before buying! 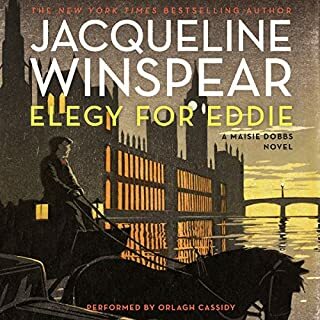 I'm off to get the third in the series, and try Orlaugh Cassidy. Yikes! This is a problem. I listened to the first book in the series and liked it so much I purchased the second before I was quite finished. I didn't notice that the narrator was different. Within five minutes of beginning the second book I would have asked to return it, if I thought it were possible! This woman speed reads her way through the book, making Maisie sound like a zombie and Billy sound like a total idiot. I have no idea what the narrator of the 3rd and 4th installments is like, but I WILL listen to a preview first. I wish I had taken the time to read this one in print, and I may do that yet, as the awful narration spoiled my enjoyment of the story. I recommend the story - but not the narration. 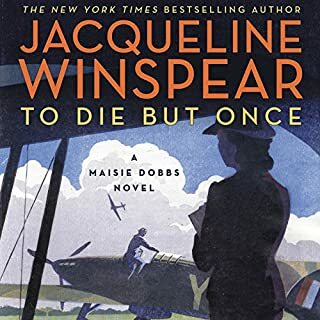 It took me two novels to warm up to Maisie Dobbs. I now think this series superior to similar series in the subgenre of early 20th century women sleuths (Phyrne Fisher, Daisy Dalrymple, et. al.) - almost as good as Mary Russell. 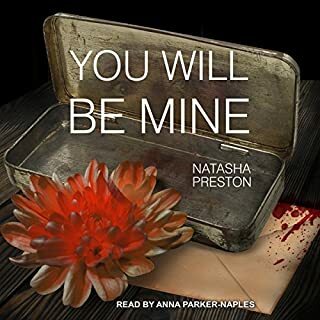 I found this listen marred, however, by the speed of the narrator, especially in the first half of the book where she seemed to be trying to add suspense by the rate and pitch of her voice --BUT I think that was inappropriate to the text. It's a slow, atmospheric, character driven mystery with an element of whodunnit, not a cliff-hanging thriller. 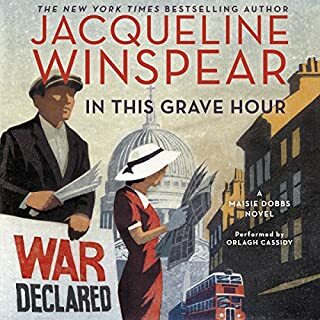 I listen to be absorbed and relax - a racing narrator detracted from that by "waking up" my brain when I wanted lulling (though not numbing). That said, the narrator was good, had the cool edge of the Ms Dobbs character and competently created voices for other characters. 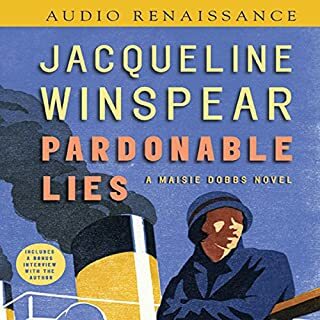 I look forward to her version of further Dobbs mysteries, if she slows (and calms) down to voice the zen of Maisie. This is the first time I've listened to a book in this series. I enjoyed the story very much, but I have to say that the narrator is the MOST irritating I've ever heard. The main character's voice is fine, at least until the final scene, but several of the others speak with a horrible whining screech. In the early chapters, it is only the women who speak so annoyingly, but as the book progresses, the men too start speaking this way. EEEeergh! 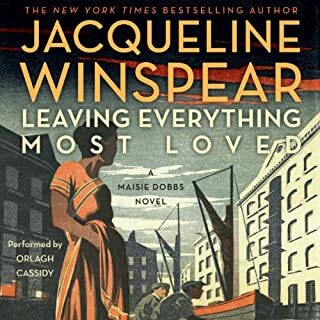 In book two of this popular series, Maisie is hired by a wealthy businessman to find his 30-year-old daughter who has been living under his roof and has recently disappeared without a trace. 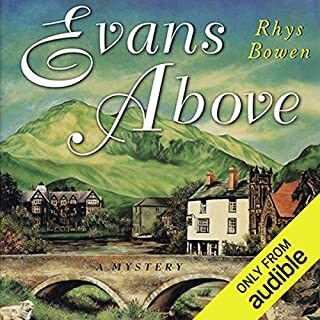 This in itself isn't so unusual as it seems the young woman has run away in the past, but this time things look worrisome as several of Charlotte's old school chums are found murdered one after another, with one having committed suicide. 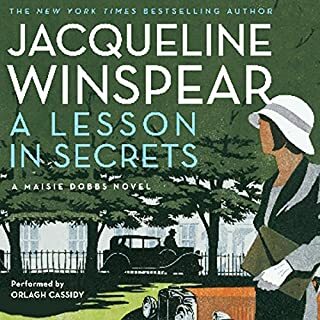 Nobody in the household other than Charlotte's father seems much saddened by her disappearance, as it seems Charlotte was not liked, something which is fully explained when Maisie works out the mystery and finds the story is yet another tragedy linked with the Great War. It took me a while to warm to this one, and I very nearly gave up in the first third of the story; while I found that Maisie's training and holistic approach to her work, combining various psychological techniques, was intriguing in the first book, here it all seemed slightly absurd. But soon the story grew in complexity and what first seemed like quite a silly story became engrossing enough for me to want to continue on with the next book in the series. I believe I saw other reviews comment on Kim Hick's too-fast delivery, and I too found she barely seemed to take time to catch her breath between paragraphs, but after a while, either I got used to it or she slowed down or both, because it stopped bothering me and seemed just fine, though I do wish the editors had left a pause between chapters. The adventures of Maisy Dobbs continue in this second book of the series. The character development is great, and I found the mixing of mystery with the main character's skills of intuition, compassion, and integrity very enjoyable. I thoroughly enjoyed the reader's accent and ability to bring characters to life with her change of voices. Her quick manner of speaking took a few minutes to adjust to, but then was not noticed for the rest of the book. It's best to read the first book in the series before reading this one, in order to get a foundation for the characters. Great fiction with historical storylines! This book holds a great story of deep sadness resulted from The Great War. The reader is reminded of the devastation and loss from the War years after its ending. But Maisie is a strong character who you really admire and finds balance in the most difficult of situations. The history lessons woven in the books are excellent and will stay with you long after the book has ended. 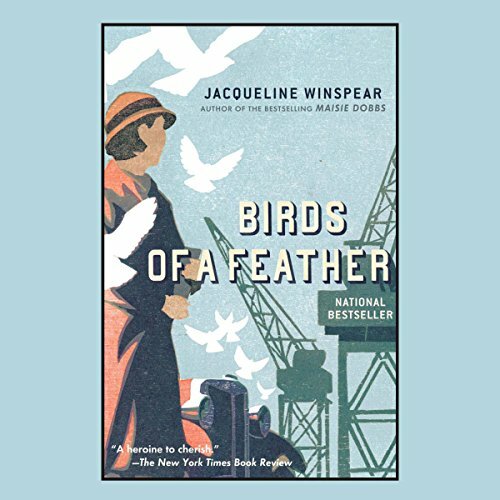 Birds of a Feather is set in Britain between the World Wars. It is a cannily crafted mystery and superbly written. 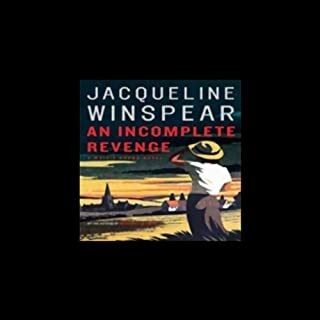 The characters are classics of British mystery: brilliant detective, engaging sidekick, enigmatic mentor, Scotland Yard inspector, wealthy patroness, missing heiress and her father who wants her found. 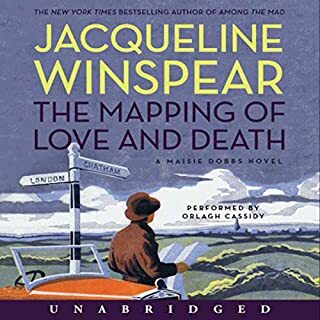 Jacqueline Winspeare takes these "stock" characters and brings them to life by revealing multiple facets of personality or unexpected twists in motive. The heiress is not missing but running away. The father wants her back not from love, but duty. The engaging sidekick is a loving family man with a dangerous secret. The Scotland Yard inspector is a single father. And the brilliant detective is also a compassionate boss, a loving daughter, a person caught between the classes of British society. Add to these ingredients a plot that asks the question, "How do you live with yourself after ...", a plot fueled by regret, fury, making amends, revenge, love, duty, fear... Well it is just monumentally well done! 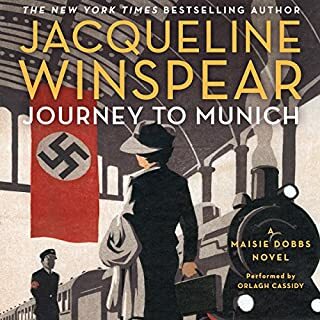 The first book introduced us to Maisie Dobbs and where she comes from and her history with a bit of a mystery, this one is more mystery. I love the time setting in this series it really gives you a feel of the time and the aftermath of war. Maisie is on the case of a missing young(Late 20’s?) girl is she missing did she runaway or is something more sinister at work? While on the case she finds that friends of the girl have been found dead, does this have anything to do with Charlotte’s disappearance or is it all about her cold father? I really like Maisie she is so caring and compassionate even after the case is settled she still goes to Charlotte and her father and tries to fix their differences. Also her compassion for what Billy is going through I didn’t feel like she judged him I thought she was caring and just wanted to help him. I enjoy this series I like the characters & the setting and will continue to read/listen to this series. I listened to this on audio narrated by, Kim Hicks I thought she did a very good job at all the different accents. 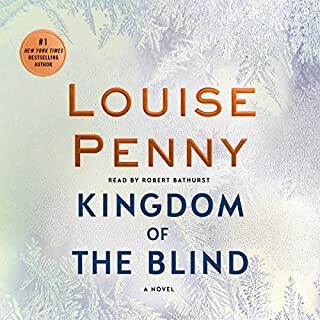 I am enjoying this series and while I enjoyed the story line on this one, she started getting into some metaphysical stuff that made me sigh. It wasn't excessive or enough to keep me from reading the next one, just not quite what I've come to expect from this series. 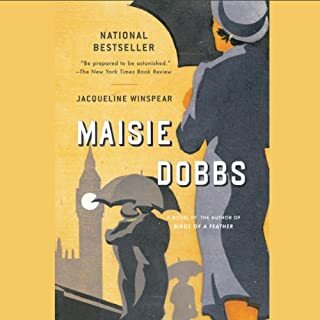 I would definitely recommend reading the Maisie Dobbs books in order, especially beginning with the first one which is critical to set up the characters and background that makes exploring the rest of the series much more fun.